Ohhh sugar! It seems to be a common staple at any firehouse, especially around the holidays- donuts on the table, cookies on the counter and ice cream in the fridge. But because its there doesn’t mean you should constantly indulge. It’s been pretty well documented that sugar can have a harmful effect on the your health (click here for a good article on that). Research has linked this sweet substance to obesity, heart disease, liver disease, higher rates of cancer, tooth decay along with other problems. Sugar also has an addictive quality that makes it a hard “habit” to break. According to data from the U.S. in 2008, on average, people are consuming over 60 pounds (28 kg) of added sugar per year and this does not even include fruit juices. In 2008 the average intake was 76.7 grams per day, which equals 19 teaspoons or 306 calories! The American Heart Association (AHA) recommends that women limit added sugar intake to 24 grams (the equivalent of 6 teaspoons) per day, and total sugar (natural and added) to about 48 grams per day. It recommends that men limit added sugars to 36 grams (the equivalent of 9 teaspoons) per day, and total sugar to about 72 grams per day. 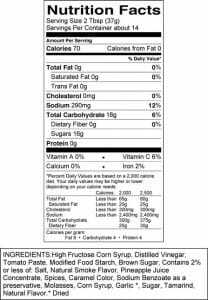 The nearer the beginning of the ingredient list the sugar is, the more sugar the product contains. If the amount of sugars per 100g is between these figures, that’s a medium level of sugars. 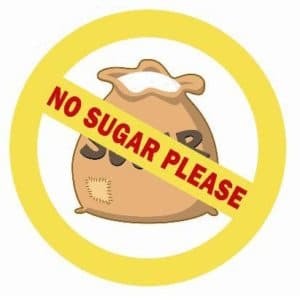 This sounds obvious but the first and best thing you can do is make some conscious efforts to just eat less sugar: reduce cakes, cookies, sugary cereals, desserts, etc. 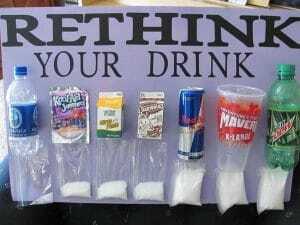 Find the hidden sugars. Read labels, sugar is hidden and it often replaces fat in low-fat/fat-free foods and you’ll find it in things that can really be made from just a few ingredients like nut butters, breads and salad dressings. 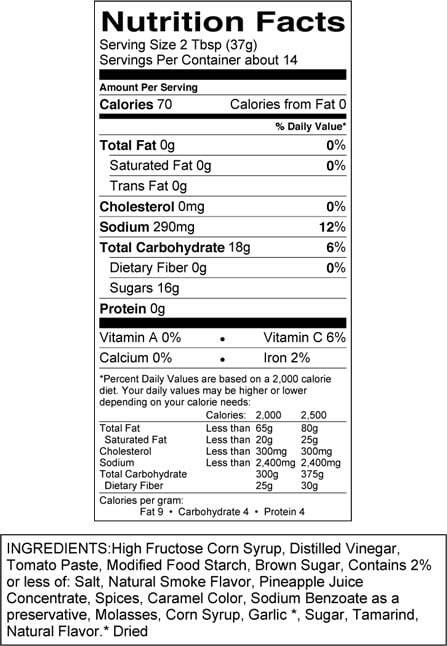 Check nutrition labels to help you pick the foods with less added sugar, or go for the low-sugar version. Eat whole, read foods. If you have a sweet tooth, try satisfying your cravings with sweet foods like fruit. When you do eat packaged foods, check the ingredient list and know the various names for sugar so you can spot it in the foods you’re eating. Remember that low fat/fat-free often means high sugar. Instead of sugary, fizzy drinks and juice drinks (soda), go for water or unsweetened fruit juice (remember to dilute fruit juices for children to further reduce the sugar). If you take sugar in hot drinks or add it to cereal, gradually reduce the amount until you can cut it out altogether! Reduce desserts either in frequency or amounts. Its alright to indulge every once in a while, try to mind portion sizes when you do. Personally, I’ve been trying to reduce sugars to the recommended amounts. Its was difficult at first, but after a couple of days that sugar “craving” subsided and I feel great. If we want to make a positive impact in the fire service, we have to find ways to reduce sugars in the firehouse. I challenge you (and your department) to find ways to reduce sugars….